- Added a new text view so you can copy and paste the content of the scanned qr codes. - Added the possibility to open alternative urls in case you scan for a website. 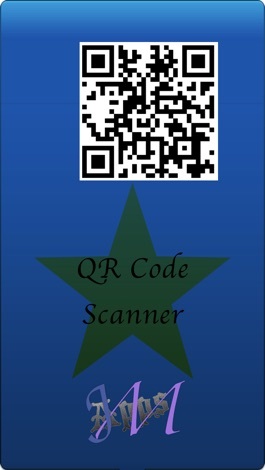 QR Code Scan is the simplest and easy QR Reader and generator and it's 100% FREE. It scans QR codes from everywhere and it also can create & export your own QR Codes from every given word and in different colors! And now redesigned & optimized for all your iOS 7 device! Designed and optimized for all kind of iPhones, iPods & iPads taking advantage of full screens & retina display features! 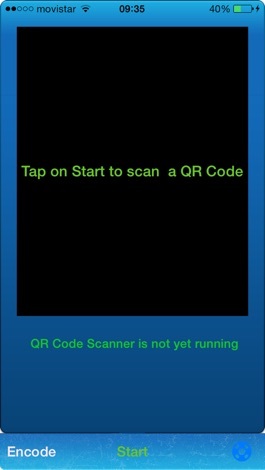 - Scans QR codes in real time. 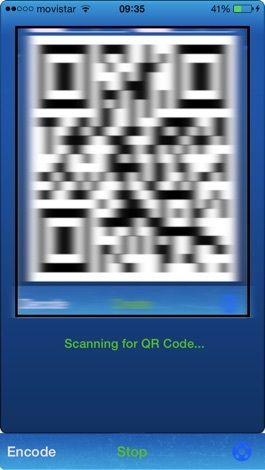 - Export your QR Codes to your Camera Roll. 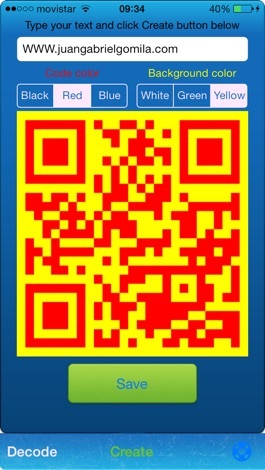 - Create full color QR Codes with lots of different combinations available. 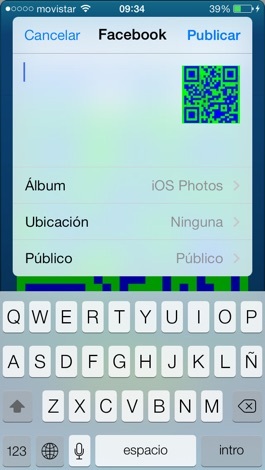 - Share your QR codes using Airdrop, email, MMS, Facebook or Twitter. **NOTICE** iPhone 3G users - please note that your camera has a fixed focus lens so the real-time scanning will not work in all conditions. Please make sure you are in good lighting and hold the device steady.